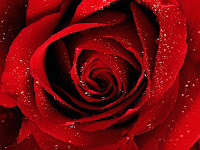 A rose is a perennial plant of the genus Rosa, within the family Rosaceae. There are over 100 species. They form a group of erect shrubs, and climbing or trailing plants, with stems that are often armed with sharp prickles. Flowers are large and showy, in a number of colours from white through yellows and reds. Most species are native to Asia, with smaller numbers native to Europe, North America, and northwest Africa. Species, cultivars and hybrids are all widely grown for their beauty and fragrance. Rose plants range in size from compact, miniature roses, to climbers that can reach 7 meters in height. Species from different parts of the world easily hybridize, which has given rise to the many types of garden roses. 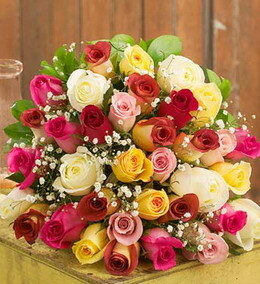 Roses are best known as ornamental plants grown for their flowers in the garden and sometimes indoors. They have been also used for commercial perfumery and commercial cut flower crops. Some are used as landscape plants, for hedging and for other utilitarian purposes such as game cover. They also have minor medicinal uses. A few rose species and hybrids are grown for non-floral ornamental use. 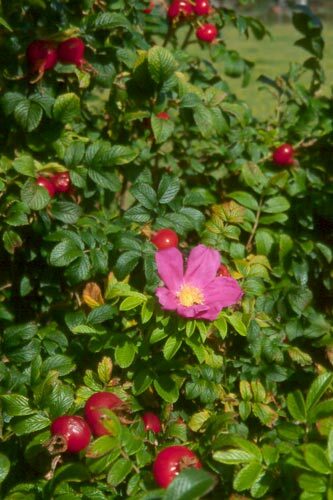 Among these are those grown for prominent hips, such as the flagon shaped hips of Rosa moyesii. Sometimes even the thorns can be treated as an attraction or curiosity, such as with Rosa sericea. 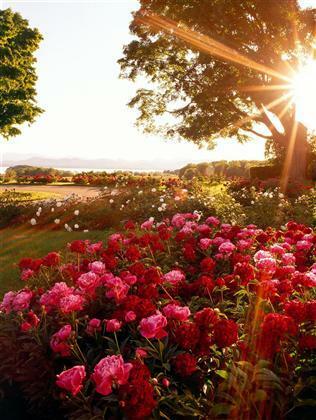 In temperate climates, cut roses are often grown in glasshouses, and in warmer countries they may also be grown under cover in order to ensure that the flowers are not damaged by weather and that pests and disease control can be carried out effectively. Significant quantities are grown in some tropical countries, and these are shipped by air to markets across the world. Rose perfumes are made from attar of roses or rose oil, which is a mixture of volatile essential oils obtained by steam distilling the crushed petals of roses. An associated product is rose water which is used for cooking, cosmetics, medicine and in religious practices. The production technique originated in Persia then spread through Arabia and India, but nowadays about 70% to 80% of production is in the Rose Valley near Kazanluk in Bulgaria, with some production in Qamsar in Iran and Germany. The Kaaba in Mecca is annually washed by the Iranian rose water from Qamsar. In Bulgaria, Iran and Germany, damask roses (Rosa damascena 'Trigintipetala') are used. In the French rose oil industry Rosa centifolia is used. The oil is transparent pale yellow or yellow-grey in colour. 'Rose Absolute' is solvent-extracted with hexane and produces a darker oil, dark yellow to orange in colour. The weight of oil extracted is about one three-thousandth to one six-thousandth of the weight of the flowers; for example, about two thousand flowers are required to produce one gram of oil. The rose hip, the fruit of some species, is used as a minor source of Vitamin C. Rose hips are occasionally made into jam, jelly, and marmalade, or are brewed for tea, primarily for their high vitamin C content. They are also pressed and filtered to make rose hip syrup. Rose hips are also used to produce Rose hip seed oil, which is used in skin products and some makeup products. The fruits of many species have significant levels of vitamins and have been used as a food supplement (see previous section). 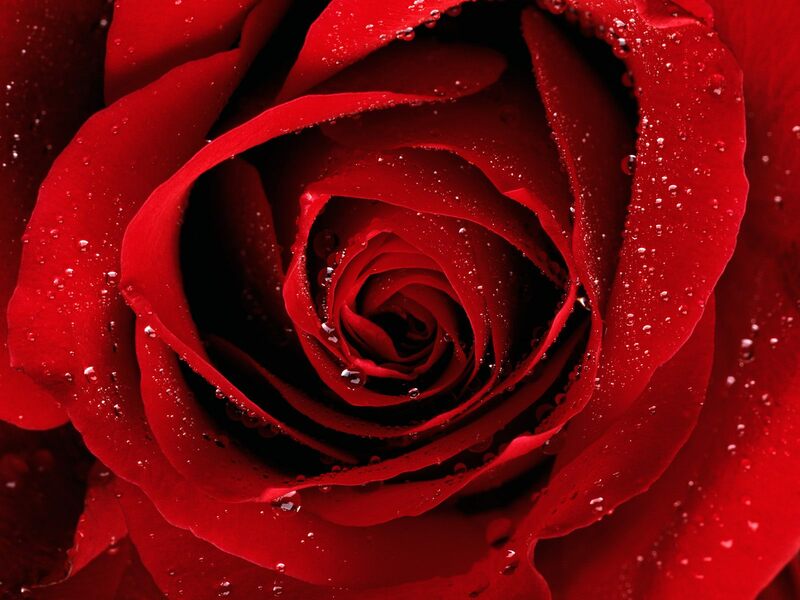 Many roses have been used in herbal and folk medicines. Rosa chinensis has long been used in Chinese traditional medicine. This and other species have been used for stomach problems, and are being investigated for controlling cancer growth.